Note: Yarn used in the pattern is Rico Baby Cotton Soft DK in Shade Pink (002) which is currently unavailable, an alternative shade has been selected. (No.9) knitting needles and 1 button. This adorable jumper for a baby is knitted in stocking stitch with moss-stitch edgings and a heart motif outlined with lace eyelets that creates a beautiful effect. 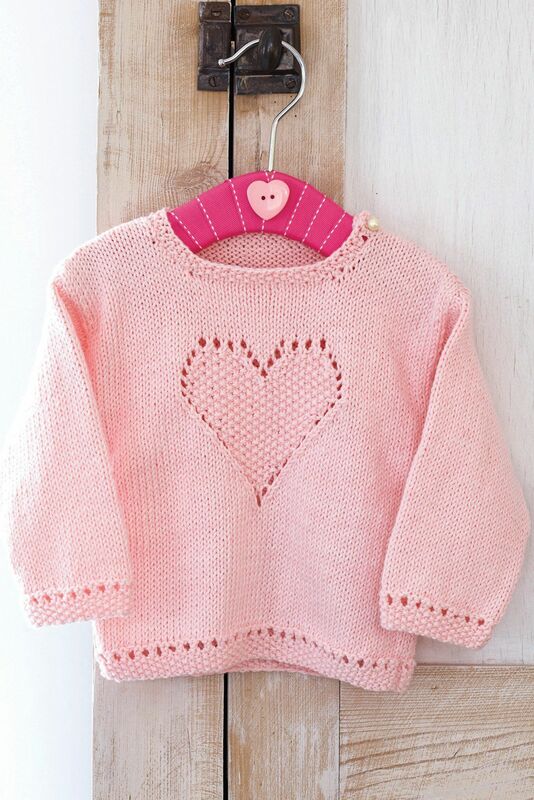 A knitting pattern that can really be transformed into something special for a little one.